June 6th, 1968, Robert Kennedy was gunned down inside the kitchen of the Ambassador hotel. It is still uncertain if the man who confessed to the murder killed him, or if there were other people involved in his death. What is clear is that Robert Kennedy embodied the best of America. That is why he is my hero. I believe he was the impetus for what we call progressives today. RFK truly was a genuine progressive. He was a champion of the poor and the working class. 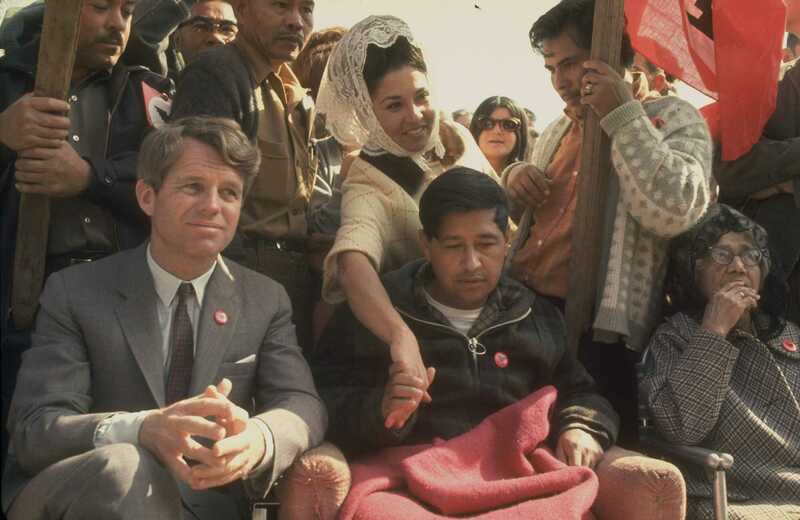 He brought American poverty into the public eye, stood with Cesar Chavez and migrant workers, challenged the mob, and took on the special interests. Bobby Kennedy represents the lost dream of today’s Democratic party. Not even Barack Obama could bring Latino, black, and working class white voters together into one coalition as RFK could. Kennedy was a champion of civil rights, more so than his older brother. He cracked down of corrupt special interests and criminals like Jimmy Hoffa. He wasn’t afraid to challenge any criminal, including the mob, no matter how scary the consequences were. He was a brutal enforcer, a man of justice; while at the same time he conveyed an unheard of sense of empathy and compassion for the disadvantaged. Robert Kennedy was not afraid to stand up to those that represented wealth, power, and privilege, while bringing the working classes of all races together to fight for a better future as one coalition. RFK was what the Democratic party should be today, but they have failed us. Today, Democrats have chosen to side with the special interests and the elites. While RFK was obviously a Kennedy and a member of the most powerful politically elite family since the Roosevelts, he chose to use his power and status to challenge wealth and opulence while the poor suffered. His upbringing is what gave his message so much power. He was a member of the elite class bringing attention to how the hoarding of wealth of the top 1% was strangling the rest of the nation. Democrats in 2016 chose to nominate an elitist, insider candidate that was bought and paid for by the special interests long before she ever first announced in 2008. In choosing a big money, special interest candidate over the obvious progressive choice, Democrats ceded the 2016 election to the Republicans and are responsible for the presidency of Donald Trump. Don’t let that happen in this race. Don’t pick the candidate that is buying this election with outside money. Don’t vote for the candidate that chooses to accept the support from health insurance companies and the national association of realtors, but then tells you he is going to provide universal healthcare and affordable housing for all. Don’t be fooled again like we were last time. The future of our republic depends on it.